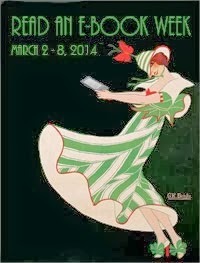 Last week I presented a series of four 90-minute workshops on ebook publishing at the Pacific Northwest Writers conference in Seattle. The workshops were presented in logical order and designed to take writers from introduction to expertise over the course of six hours. For your viewing pleasure, I consolidated the four presentations into a single online deck and embedded it below. The presentation teaches writers how to self-publish ebooks with greater pride, professionalism and success. If you know a writer who's evaluating their publishing options, or they're struggling to reach readers and could benefit from some fresh ideas, please share it with them. Whether a writer aspires to publish indie, traditional or hybrid, there's something for everyone in here. The presentation will also be useful to the hundreds of small independent presses that work with Smashwords. ^^ Please share this with a friend by clicking the arrow in the lower left! 1. Introduction to eBook publishing - An introductory primer. It provides the basic foundational knowledge every writer needs to get started on their self publishing journey. It explains the basics, such as the top five trends driving the ebook market; factors contributing to the rise of the indie author movement; the advantages of indie authorship; and features a comprehensive ebook publishing checklist that explains important concepts such as formatting, ebook conversion, ISBNs, cover design strategies, metadata, copyright, piracy, pricing strategy, marketing, distribution and preorders. 2. Ebook publishing best practices - 16 secrets of the bestselling indie ebook authors. This is probably my most popular presentation. I've been presenting this for a few years and originally created it as a companion to my free ebook on best practices, The Secrets to Ebook Publishing Success. I share 16 tips, tricks and strategies that are common among many of the bestselling ebook authors and their books. This presentation teaches you how to to make your book more discoverable and more desirable to readers. It includes an expanded section on cover design with multiple case study examples of what works and what doesn't. You'll also learn important platform building techniques. Even veteran indie authors are sure to get a new idea or two out of this. Starts at slide #89. 3. iBooks Merchandising - how to sell more books in the world's second largest ebook store. Readers of this blog know I'm a massive fan of iBooks. Simply by distributing your books to iBooks, your books will be just a couple clicks away from nearly one billion users of Apple devices. Smashwords has been an authorized global aggregator serving the iBooks store ever since the iBooks store first launched in April 2010. In the time since, I've had the pleasure to collaborate directly with the super-awesome global merchandising team at iBooks. In this presentation, I introduce authors to the iBooks store and then share tips on how authors can increase their visibility, sales and promotional opportunities in the store. As you'll learn, from a high level there are two types of merchandising opportunity at iBooks. The first is automated - the myriad discovery benefits you receive automatically simply by distributing your books to iBooks. The second opportunity is human-curated merchandising where the merchandising pros at iBooks select a small number of books for promotional love. You'll learn that their merchandising decisions are merit-based, and much of this merit is earned by you building a track record of sales and high reader ratings from iBooks customers. If iBooks customers embrace your books, it increases your chances for extra merchandising love. Some authors might feel discouraged that they face a chicken and egg problem - "Without merchandising love I can't reach readers, and without more readers I can't establish a track record to prove my books merit merchandising love." Don't worry. I'll show you how there's a lot you can do maximize your opportunity for love in there store, but it will take hard work and a long term commitment (if it was easy, everyone would be a bestselling author!). Also know that hundreds if not thousands of Smashwords authors have achieved various forms of merchandising love at iBooks, so it is possible. It's all about implementing the many best practices discussed in the presentations, such as super-awesome writing (nothing's more important than your book! ), a super-awesome cover, full uninterrupted distribution of all your titles, fair pricing, smart use of FREE as a promotional tool, smart use of preorders, and smart use of enhanced metadata such as the Smashwords Series Manager. Even though this presentation focuses on iBooks, the same concepts of merit apply to the merchandising decisions of the other retailers. Starts at slide #180. 4. How to Hit the Bestseller Lists with Ebook Preorders - As long time readers of this blog know, I've been celebrating the benefits of ebook preorders for over two years. An ebook preorder is probably the single most powerful book launch tool to come along in the last seven years. Bottom line, books born as preorders sell more copies than books that are simply uploaded the day of release. If you want to reach more readers, you need to learn how to use preorders to maximum effect. Last month we announced a new preorder feature called assetless preorders which allows you to establish your preorder up to 12 months in advance, even if you're not finished with the book yet. Preorders enable more effective advance book marketing, and at retailers iBooks and Kobo, preorders give you a dramatic sales rank advantage the day your book is released. This presentation identifies five benefits of ebook preorders and then shares proven methods to plan and execute a successful preorder launch. Starts at slide #231. I hope you enjoy the presentation. As any indie author can tell you, it's not easy to sell books. There's no single magic bullet shortcut to bestsellerdom. Self publishing success is all about patience, perseverance and best practices. The more best practices you successfully employ, the better your odds of reaching readers. Self publishing success is also about values and mindset. As I mention in the Indie Author Manifesto, it's important to remember that your success as an indie author cannot be measured by sales alone. If you find joy in the journey and creative expression of writing and publishing, then you've discovered the richest and most fulfilling measure of success. Write on! Thank you for all that. I will certainly look into it instead of sitting back and waiting for the orders to come. It's really a great job. Thank you for all the hard work Mark! We are reading it now. Belgian Indies are also thankful. 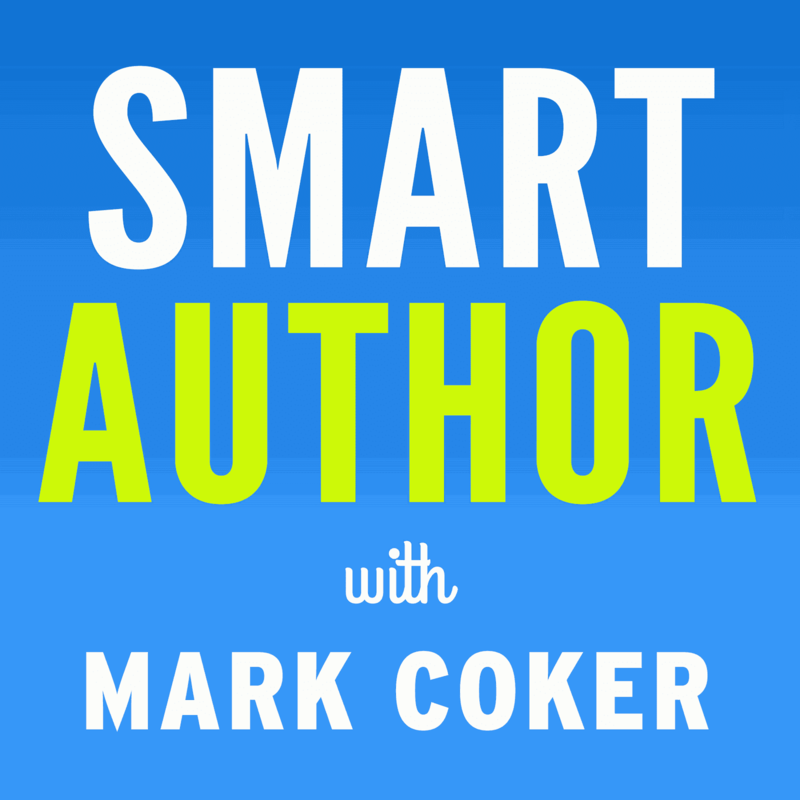 Mark Coker--YOU ROCK! I have said it before and saying it now. I always check out what you have to say and find it helpful. Wise and extremely helpful words, Mark. Thank you so much for helping authors all over the world with your brilliant advice and motivational and inspiring thoughts so that we authors can reach as many readers as possible with high-quality works. You're amazing. Take care and have a great day. A big wave and hello to you from here in the UK. Mark, thanks as always for providing your insights. I have a couple comments and questions. I work with a romance indie writer who releases a book each month. We have over 80 books out now and are fortunate to have a strong following. Many of the things you discuss in this presentation have been critical to our success, so I can attest to their importance. Still, you made many points that I took notes on, so I'm excited to try these new ideas. One comment regarding backmatter. In the presentation you mentioned including author bio, booklist, and links to connect. We always include at least one book sample also. You mention this later in another section, but I would suggest it's worth including on slides 57 and 160. We have been putting the social links at the beginning of our books, but I like the idea of repeating them at the end where the reader will find them after finishing the book. Regarding preorders, we've wondered what the magic period is and are now up to a month in advance - one preorder starts when the previous book goes on sale. This is working great, but I'm hesitant to extend beyond this and have multiple books on preorder at a time. Do you have any data points on this? Our books are about 45k words and I'm worried about having a longer preorder period when the books are usually read in a day or two. Thoughts? That having been said, we're releasing book 2 of a 5 book series (not counting the free series intro) in October. We have the other three books' covers and descriptions ready and could put the whole rest of the series up for pre-order. I can see where this could be beneficial if we have the reader's attention. Your thoughts? Another comment/question on preorders: I didn't realize that our Amazon preorders (which are by far the strongest of our vendors) were not helping our first day sales rank. Do you have any suggestions on how to help Amazon sales rank? On the other hand, I would bet that as preorders rise, Amazon is doing their remarketing magic on the back end to notify previous readers of the new book's availability (especially as preorder numbers rise). We have a decent mailing list (40k), but many sign up to get a free book and we get relatively small bumps in preorders for marketing emails sent. Do you have any suggestions on how to better energize Amazon sales? They represent 66% of our sales this year, with Google Play and iTunes battling for 2nd place (Google is now winning with 13% vs Apple's 12%). Thanks in advance for your thoughts and everything you do for indies! Hi Bill, all great questions. Backmatter: Yes, I think samples are a great idea because they help draw the reader into the next book. Another good item to consider would be a discussion guide for reading groups. It could be just the thing to prompt a reader to recommend the book for their reading groups. To maximize first day sales rank at Amazon, you need to concentrate as many orders as possible into the first day, and this may mean that you want to skip the preorder at Amazon. A preorder at Amazon will cannibalize the first day's sales rank, unlike a preorder at iBooks and Kobo. The big question (and I don't know the answer because it really depends on the author's advance marketing capability) is whether the many other benefits of a preorder noted in the presentation can outweigh this one negative at Amazon. I suspect for some authors with good marketing, an Amazon preorder will still help them sell more overall units.